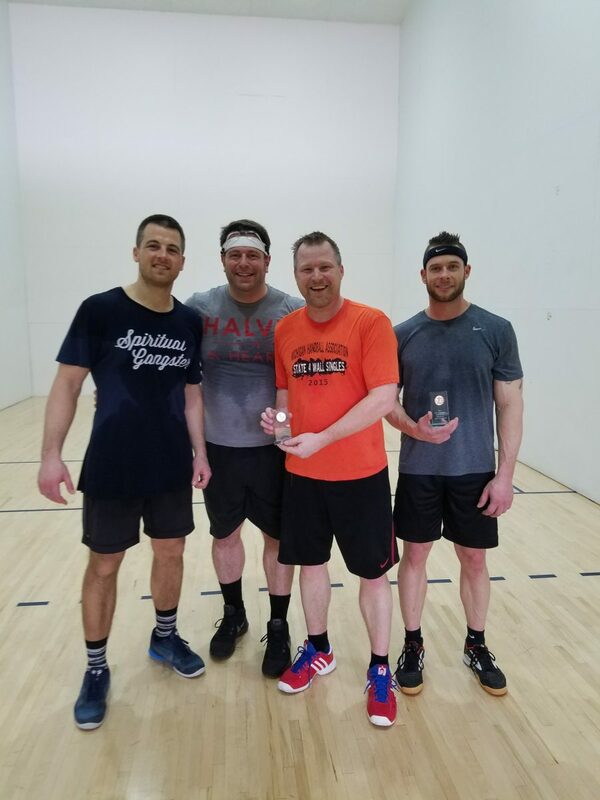 Columbus, OH, WPH Press, 3/11/17- Columbus, OH hosted the 2017 Mid-America Regional 4-Wall Handball Championships, with top players from Ohio, Michigan, Pennsylvania, Virginia, Indiana, and Canada on hand to compete for the prestigious Mid-America regional title. 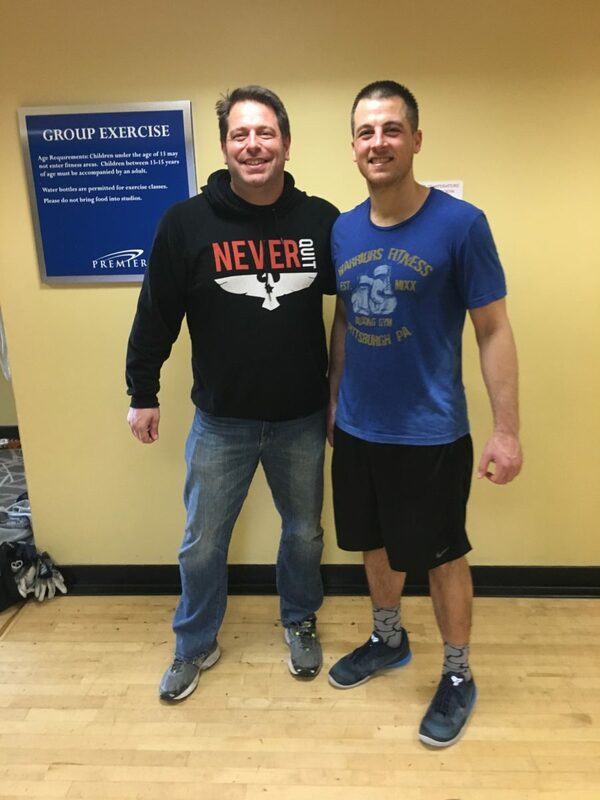 The WPH RFC’s co-tournament director Mike Semplice faced Detroit transplant and #1 seed Jim Karner in the upper bracket men’s open semifinal. Semplice raced out of the gates and blitzed the scientist in game one, needing just 11 minutes to win 21-1. Karner regrouped and capitalized on early-game Semplice errors and over hitting in game two, taking leads of 7-2 and 18-8. Karner eventually forced the tiebreaker with a revolving door kill, 21-9. “I felt good in game two but I was just skipping my kill shot attempts and he (Karner) built a lead and gained confidence,” stated Semplice. The tiebreaker started much like game one, with Semplice dominating the action and taking an 8-0 lead. Unfazed, Karner rattled off eight straight points to tied the game at eight. Semplice and Karner exchanged points to 9-all before Semplice scored the final two points of the match to book his first trip to a regional final. “It feels great but I’m really sore right now,” stated Semplice. 15-year old Canadian prodigy Ivan Burgos stunned Midwest superstar Casey Mayo in the bottom bracket semifinal, taking down one of the Midwest’s hardest hitters in two games to join Semplice in Sunday’s final. 23 years separated the Mid-America Regional finalists, with the 37-year old Semplice bombarding the young Canadian superstar in the opening game with a barrage of kills. “Mike was using a “Chapman-esque” lob to the left that was giving Ivan fits,” stated WPH reporter Dr. Bardwell. Semplice appeared to be in complete control after dominating game one 21-2, but Burgos turned the tables in game two. “Mike went away from the lob serve and Ivan started to wear him down,” stated Burgos. Burgos forced the tiebreaker, 21-15. 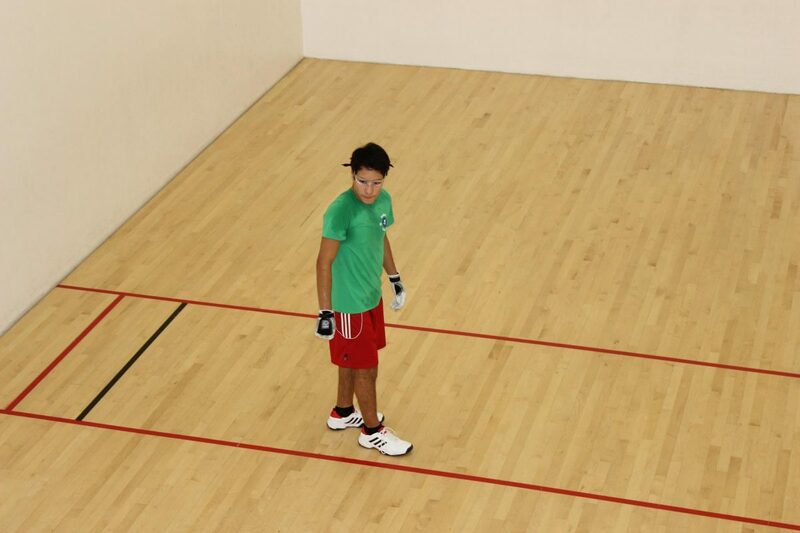 Semplice found himself in a second consecutive thriller, with the lead changing hands multiple times in the decider. Burgos reached match point at 10-10 and closed out the match with a flat kill to earn his first major men’s open singles crown. Wow! Mike Semplice teamed with WPH statistician and reporter Dr. James Bardwell to defeat Ivan Burgos Chicago’s junior star Ray Ure in the bottom bracket semifinals, while Top-seeded Jim Karner and Patrick Oliver cruised to the final with a two-game sweep against Fernando Burgos and Victor Palacios. A deflated an exhausted Mike Semplice and Dr. Bardwell were no match for Team Karner/Oliver in the final, falling in two quick games. Thank you to WPH reporter Dr. James Bardwell for the updates from Columbus.